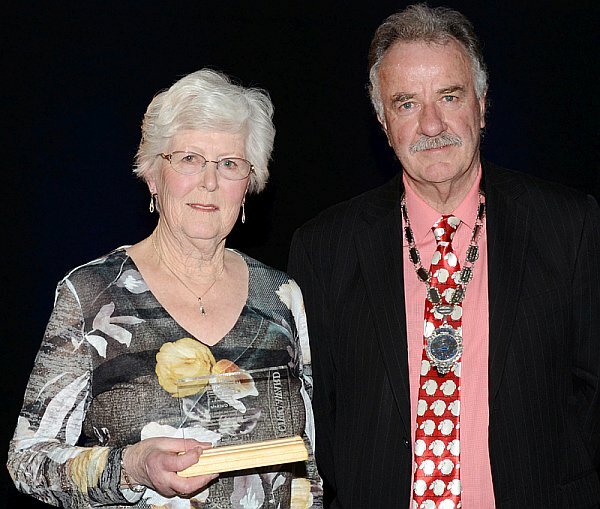 Helen was presented with this award in 2015 for her outstanding service to chamber music and gardening. 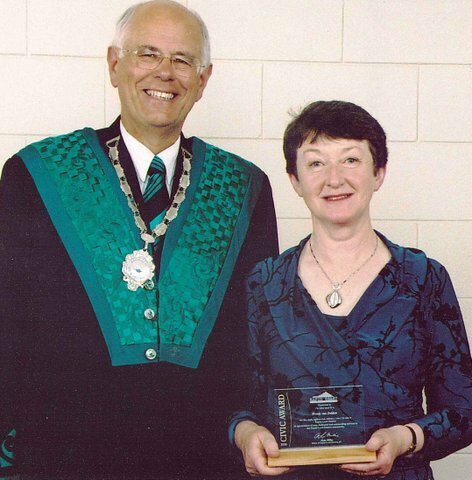 Helen has been a member of the Waikanae Music Society since 1984, when she moved to the Kapiti Coast from Wellington and for 25 years from 1990 was a committed and effective president, instrumental in improving and modernising a number of systems. Helen also played a pivotal role in the purchase of the Italian-built Fazioli piano in 2011, which has enabled the society to attract internationally acclaimed pianists to this part of the world. On the gardening front, she has been president and branch secretary of the Kapiti Branch of the New Zealand Camellia Society – a highlight being organising the National Camellia show in Waikanae in 2009 – and has been a member of the National Council of the Camellia Society, judging camellia blooms throughout the North Island. Additionally, she is an expert on roses and has been a local and national judge for 30 years. Helen was president of the Wellington and Kapiti Rose Societies for many years, including hosting a very successful national rose show and convention in Waikanae. The following is an excerpt from the citation submitted by the President and Committee of the Waikanae Music Society and supported by Chamber Music New Zealand, Michael Houstoun and Joan Sherley QSM. “In 2006 Wendy van Delden completed 25 years as Concert Manager for the Waikanae Music Society. Over this time she has negotiated close to 300 concerts and related activities for the Society. In addition she has been active in arranging music for schools, maintaining close contact with musicians and liasing with Chamber Music New Zealand and musicians from the New Zealand Symphony Orchestra to provide concerts. She has also assisted the visiting musicians with advice on travel, making arrangements for the special requirements the artists may have and kept in close contact with local media as the Society’s publicity officer. Wendy is a foundation and committee member of the Society which was started 28 years ago to provide concerts on the Kapiti Coast. She and her late husband Gerard were mainly responsible for raising funds to purchase a concert grand piano for the Society. As a music teacher she has untiringly worked for schools and young performers.